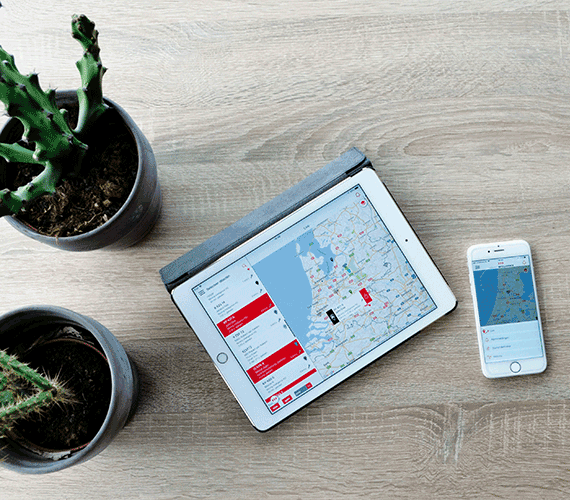 With our free Moving Intelligence app you have a clear overview of all your transport resources, always and anywhere. The app also has a variety of handy options, such as for activating/deactivating your immobilizer. Our vehicle tracking systems (Mi40 and Mi50) record your kilometres driven automatically and in real time. The MiApp enables management of these kilometres. After switching off the engine ignition, you can simply classify them using the app. This function allows you to quickly and easily at a glance look at your trip administration per classification (business, commuter traffic, private and unknown) are clearly displayed. Do you keep your trip administration for the tax authorities, you can keep a close eye on whether all rides are properly classified. All vehicles are displayed here live. If a vehicle is stationary, the last location is displayed. Click on a vehicle to display the last route, exact location, speed, etc. You can also see the various other products such as the transmitters and the set POIs (points of interest). This function allows you to temporarily switch off the alarm messages that the Mi50 sends to the alarm center. This function is convenient when you take your vehicle to a garage for maintenance, for example. – Alarm deactivation – for when you want to temporarily deactivate the alarm warning feature (which warns our alarm center in the event of unauthorised use). – Option to have the vehicle ask for a key fob (once) for the immobilizer. – The app also has a calendar feature which you can use to specify times during which the keyfob is required (e.g. every day between 11PM and 7AM). Remotely activate/deactivate various functions, for example such as your boat’s block heater. 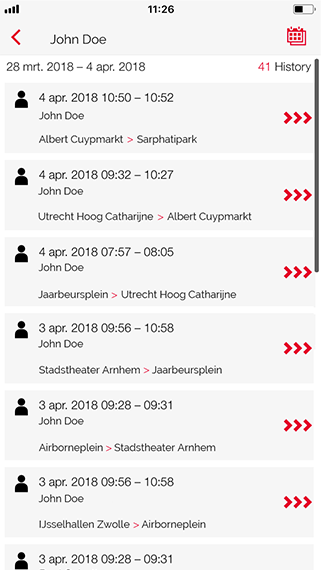 The App is available in various languages – English and Dutch. The app will automatically choose your phone or tablet’s set language.